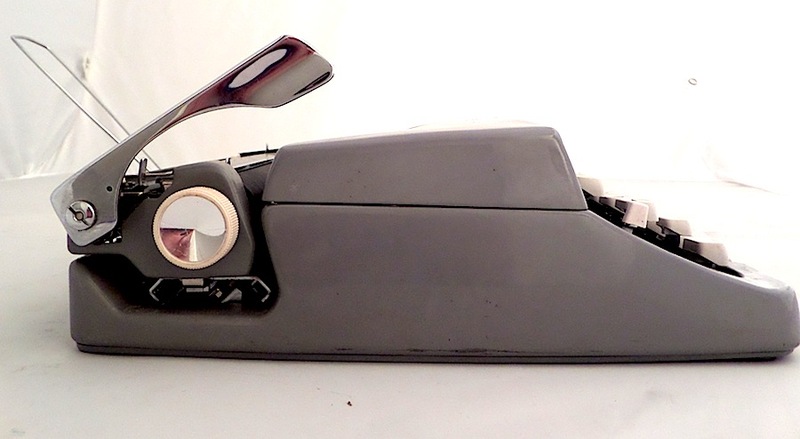 Yet another Brother portable typewriter. Brother typewriters are ubiquitous. 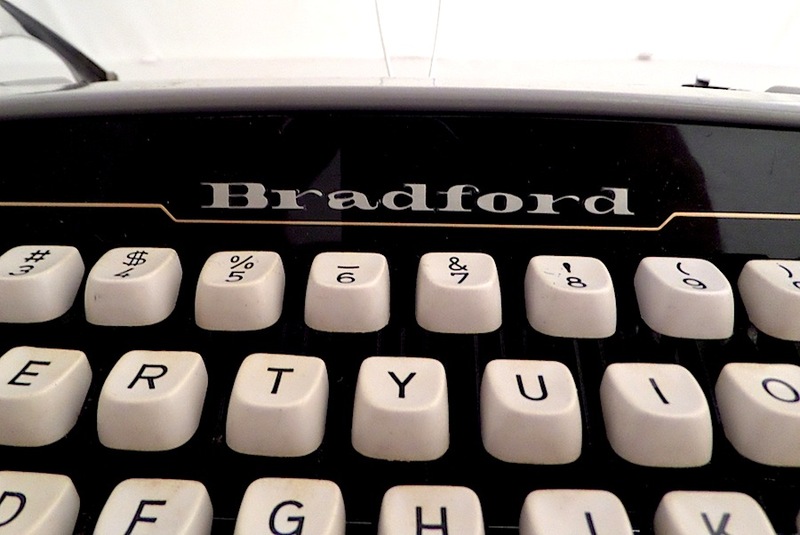 From the 1960s through the 1980s, Japanese-based Brother sold more than 10 million typewriters, quality machines that were offered under a variety of names, including Bradford. 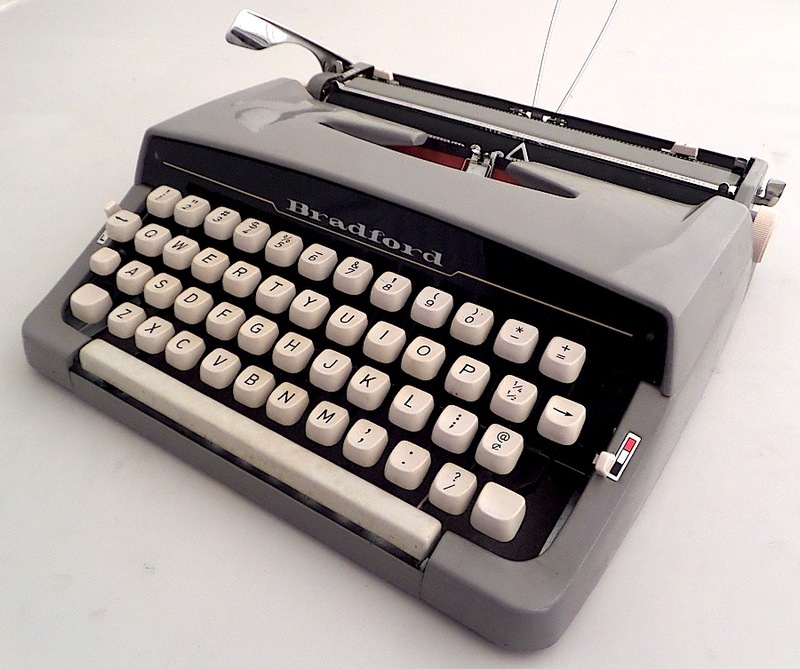 Many retailers placed their own labels and serial numbers on the back of rebranded Brother typewriters, e.g. the K-Mart 100, but the Bradford retains Japanese labeling. 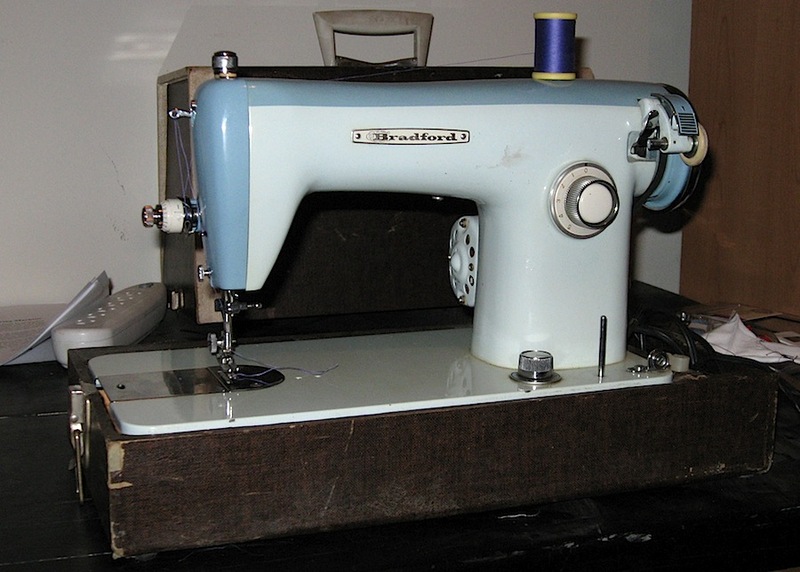 A Bradford 1361-A sewing machine, manufactured by Brother. More about it here. 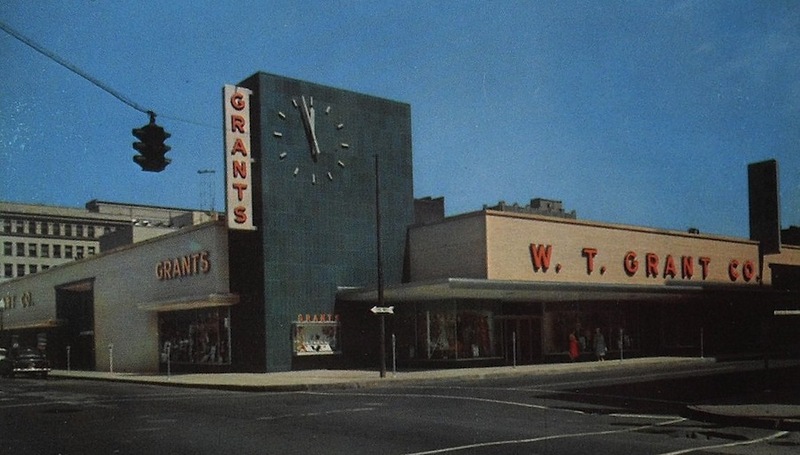 W. T. Grants from the 1950s. More photos here. 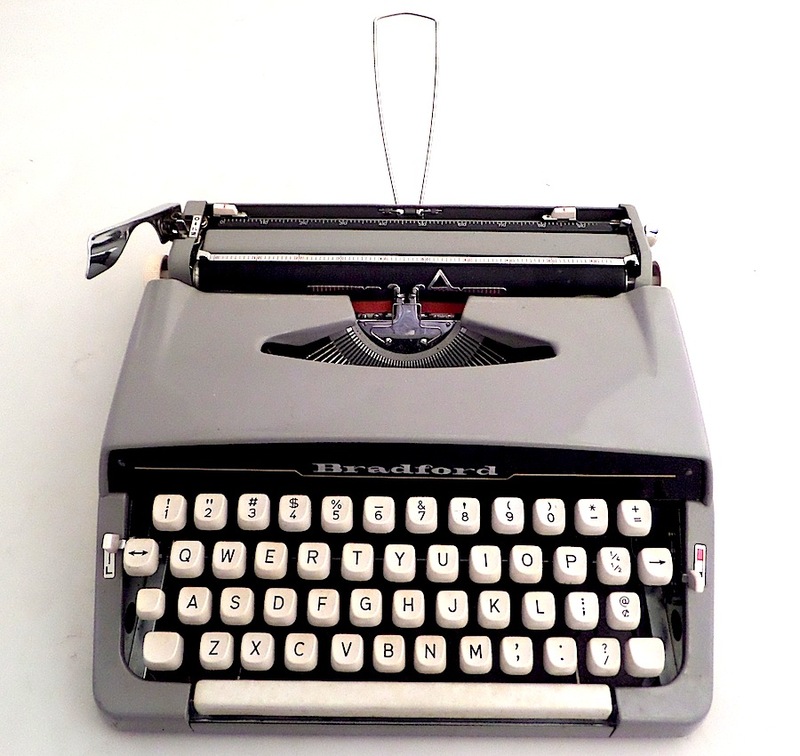 The Bradford typewriter is similar to the Webster XL-500. You can read more about Brother typewriters here: ああ姉妹、どこアートなた The Brother Typewriter Story, by Robert Messenger at Oz.Typewriter. A model much like the Webster XL-500. A budget machine, which likely sold for around $50. Brother label and serial number on the back of the machine. Side profile of the Bradford. aargh. The dreaded “P” prefix serial number! I did solve the mystery of the “M” prefix serial number – turns out the OMEF (and everyone) has it wrong about month codes running A-L. They actually run A-M with “I” excluded (looks too much like a 1 – that’s actually what the Brother memo states), so “M” is just December. The serial number system begins in 1964. Perhaps Brother used a different system prior to that. 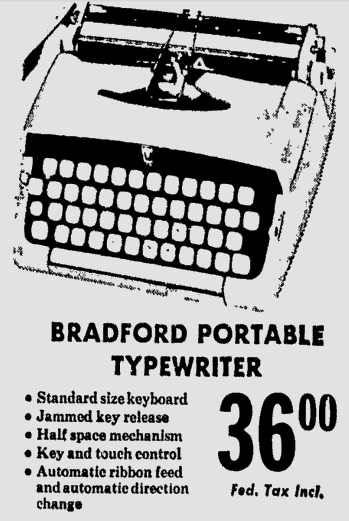 I have located ads — and machines — that date from 1961 (including my Bradford above) through 1963. 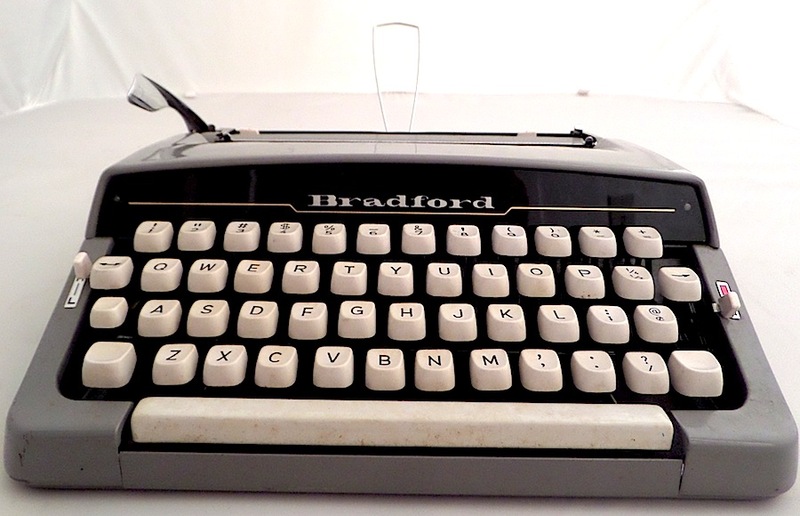 See also this listing at http://typewriterdatabase.com/196x-brother-valiant.1246.typewriter.